Thank you to everyone who made the Memory Celebration Dinner such a wonderful evening. Thank you to Glenn Henrikesen; St. Paul Lutheran Church, Fairmont Adult Choir, Michael Kutch, Director; MLHS Choir, Evan Mills, Director; Rev. Anthony Bertram; Scott and Dawn Halverson; Lisa and Rick Stevens, Dylan, Lance and Levi; Richard Behrens; Tom and Heidi Koeritz; Tami's on the Ave, Culligan Water; Great Plains Transporation; Partners Funding; Tyler, April, Katie and Parker Garrison and to all who purchased a leaf and all the friends and family who attended. Soli deo gloria. The slide show below is a compilation of a brief MLHS history and the Memory Slide Show that was played at the Memory Celebration Dinner on September 23, 2018. ​ The dream of a Lutheran high school in Martin County began in 1947. Since that time, hundreds of faithful Christians have played an instrumental role in the fruition of the Martin Luther High School Ministry. Many of them are no longer with us, but their impact and service is still evident. 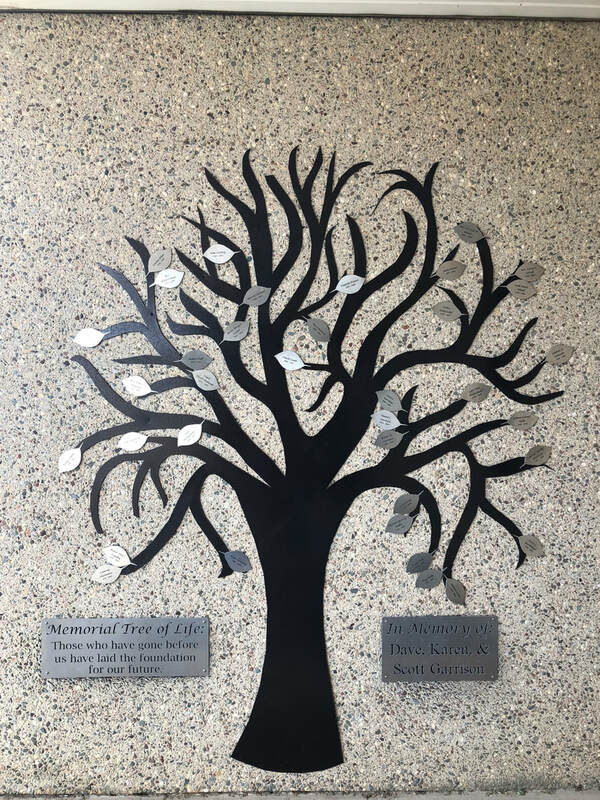 The MLHS Memory Tree has been established with a two-fold purpose. First, to memorialize those loved ones who have helped make MLHS what it is today, and, secondly, to infuse new fiscal strength to keep the MLHS Ministry strong. 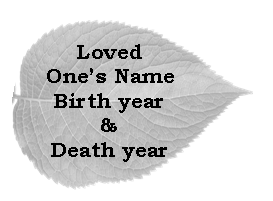 Friends and family are invited to purchase an aluminum leaf engraved with the name and life dates of their loved one. Each $500 donation will provide a memorial leaf with your loved one’s name on it that will support the MLHS ministry. (One leaf per memorial.) It is our prayer that this laser-cut steel tree will be adorned with many memorial leaves eulogizing past MLHS devotees. This tree is located on the south wall under the entry portico. It is our prayer that all who enter the building will recognize the dedication of our past pioneers and be inspired to carry on the Mission of Martin Luther High School for future generations. ​ Memory leaves can be added at any time, as this is an on-going project to continue the legacy of those who have gone before us. Click on the button above and scroll down ​ to "Other Gifts" to complete your donation for a Memory Tree Leaf. 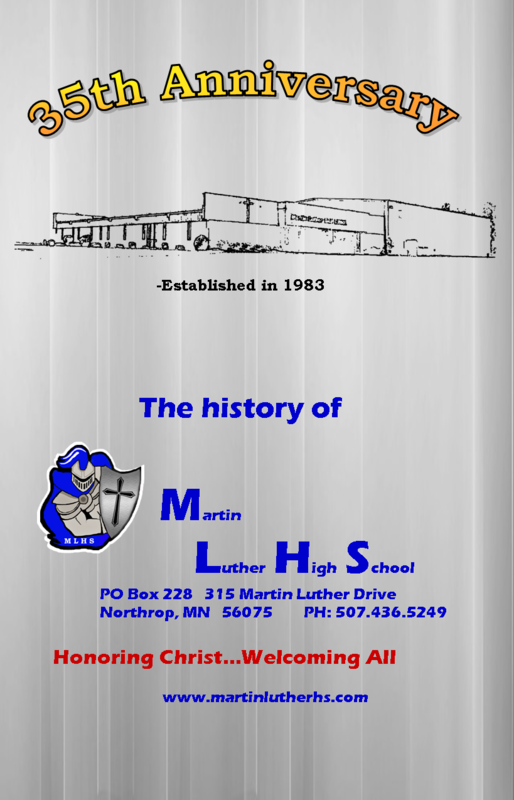 Get a snapshot of MLHS since the dream of a Lutheran high school began in 1947. The 35th Anniversary History book covers some of the highlights of Martin Luther High School, squezzing them into 40 pages. This history compilation does not begin to touch on the tremendous effort and love the formed Martin Luther High School into what it is today in 2018. We apologize for any omissions or mistakes. Order your copy here.